When it come to looking for a company to handle your landscaping Spartanburg knows of our 20 years established history? Our reputation comes from providing the best possible service to YOU, not just completing a job on time and within budget. 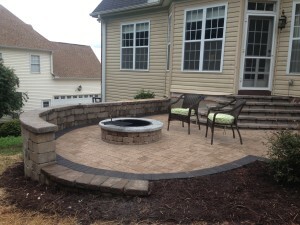 We communicate with you about your landscaping needs all the way through the project. It doesn’t matter if the project is big or small, we are here to make sure your project ends up the way you want it. When it comes to landscape design, we have you covered! Our design team has decades of experience. Whether you have a vision waiting to come to life, or you need help coming up with a plan we’ll work with you to figure out the best possible design for you. Water features have actually become more affordable in many cases over the years. There are also a lot of choices for types of features these days. Small and medium sized ponds. Japanese style rock gardens or larger waterfall type features. Call us to talk about the water feature you would like to see on your Spartanburg property. Small ponds with running water create a very tranquil feeling. When it comes to landscaping Spartanburg properties, installing a pond or even a waterfall is an amazing way to create a scenic back yard. Give us a call and we can tell you about everything that goes into the installation of water features. Outdoor lighting is the perfect combination of looks and functionality. You can install lighting to your patio, deck, garden, or outlining your home. The lighting can set the mood, or highlight best aspects of your landscape. In addition, it can increase the security of your home by making it harder for people to trespass. It can also illuminate dark walkways that are hard to navigate. We love landscaping Spartanburg homes because of their natural beauty. Landscape lighting will highlight the best aspects of your property, wither it’s your home or your business. Landscape lighting has become more affordable in the last five years because of new technology. Thanks to solar powered lights and low voltage LED lights, having landscape lighting isn’t the energy drain that it used to be. Call us, we would be happy to talk about landscape lighting options for you!